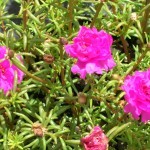 Moss Rose (Portulaca grandiflora) - Richard Lyons Nursery, Inc. 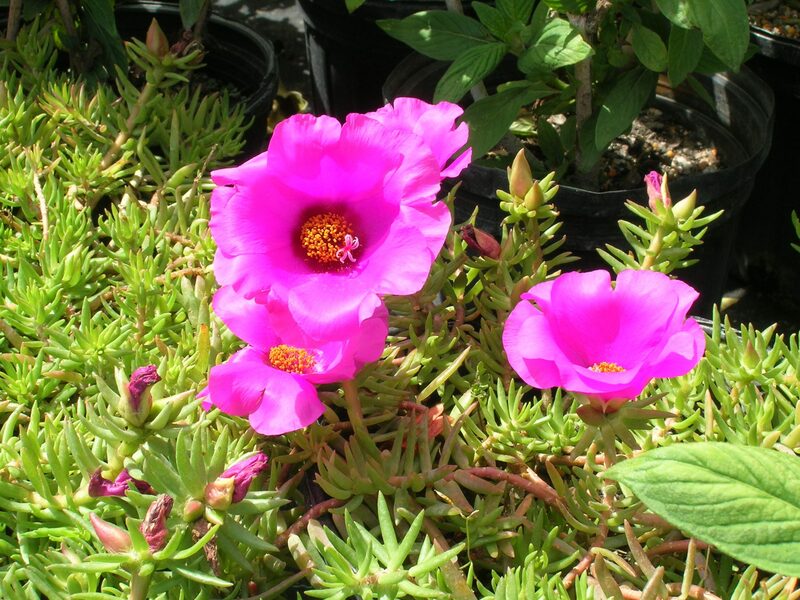 If you’re searching for a plant that’s easy to grow, look no further than Portulaca. 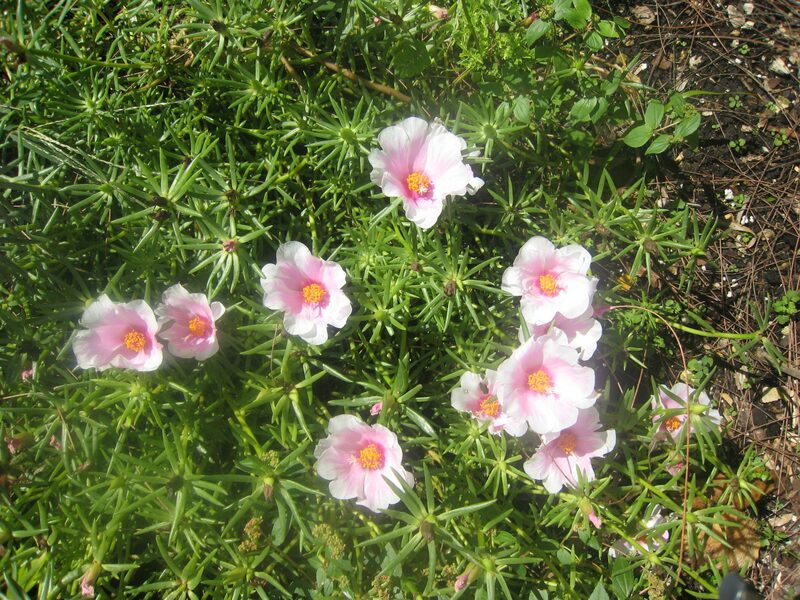 Also known as Moss Rose, this genus comprises somewhere between 40 and 100 species native to both Old World and New World locales. 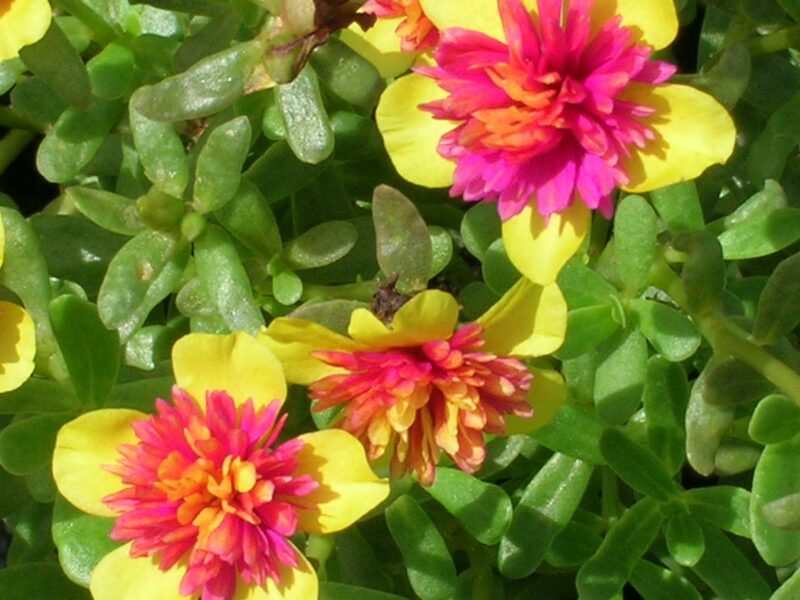 Fast-growing on thick reddish stems and featuring fleshy leaves, it literally thrives in the absence of attention. 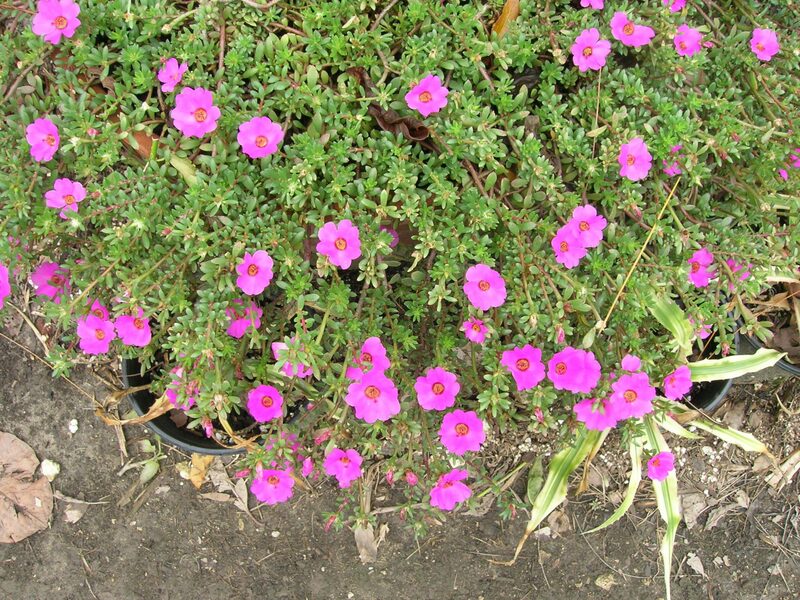 Topping out at less than a foot high, Portulaca makes an ideal ground cover for the sunniest, most inhospitable areas of your yard, and it blooms profusely in shades of red, yellow, white, orange, pink and, in more recent times, pastels. 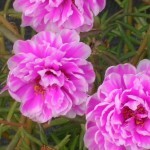 In some varieties, the flowers are double. 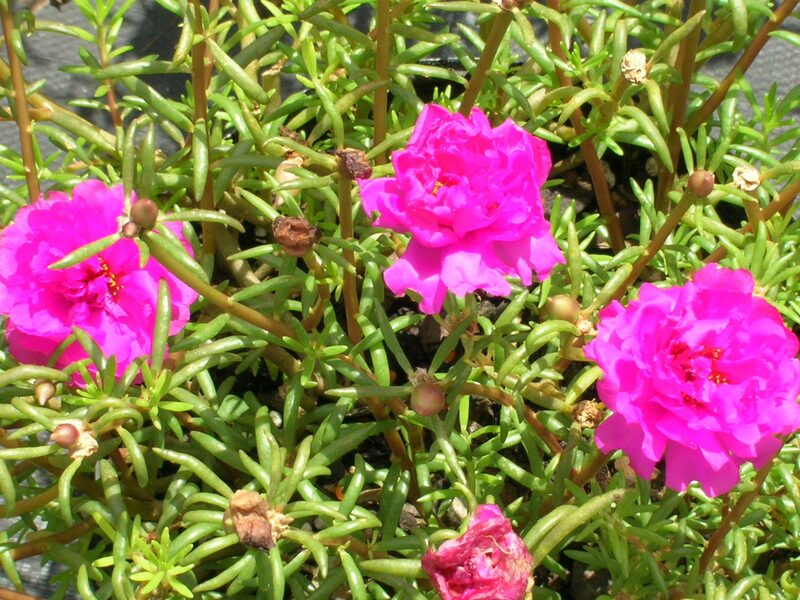 Portulaca is not simply undemanding, but it may actually suffer from too much attention. 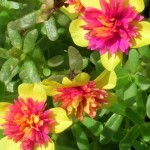 Consequently, you will do it a favor not to fertilize it and not to water it devotedly. 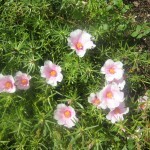 Just be sure not to plant it on a site with poor drainage. 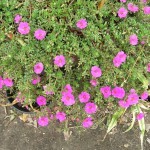 In addition to functioning beautifully as a ground cover, this succulent performs well in a hanging basket or container. 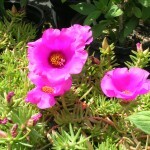 You can find a number of Portulaca cultivars at Richard Lyons’ Nursery in 1-gal. 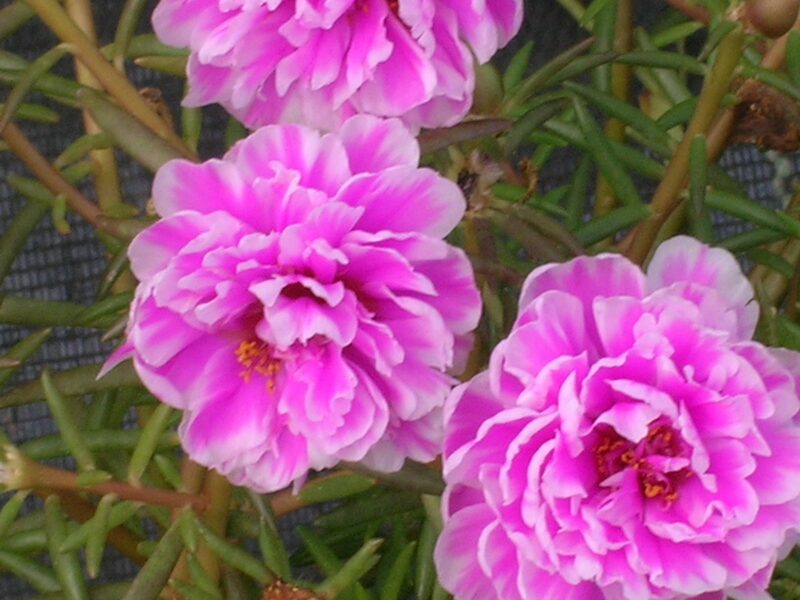 containers.